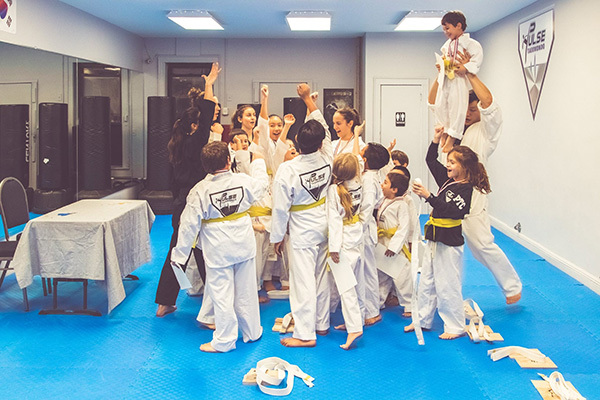 Our kids Taekwondo program starts children at the age of 4. These classes provide age appropriate martial arts training for our youngest students. The program focuses on techniques such as blocking, kicking, punching and self-defense. Not only will they learn these techniques, students will also learn the importance of focus, discipline, perseverance and respect on and off the matt! What are the benefits of our program outside the do-jang? Not only will our kids program build confidence in your child’s life, but it will also help to show them the keys to success through hard work and consistency. We also provide attainable goal levels for this age group. Providing a sense of achievement keeps the children motivated and instills the importance of goal setting at a young age. The lessons that are learned in the the do-jang (school) can also be applied to in school, home and everyday life.